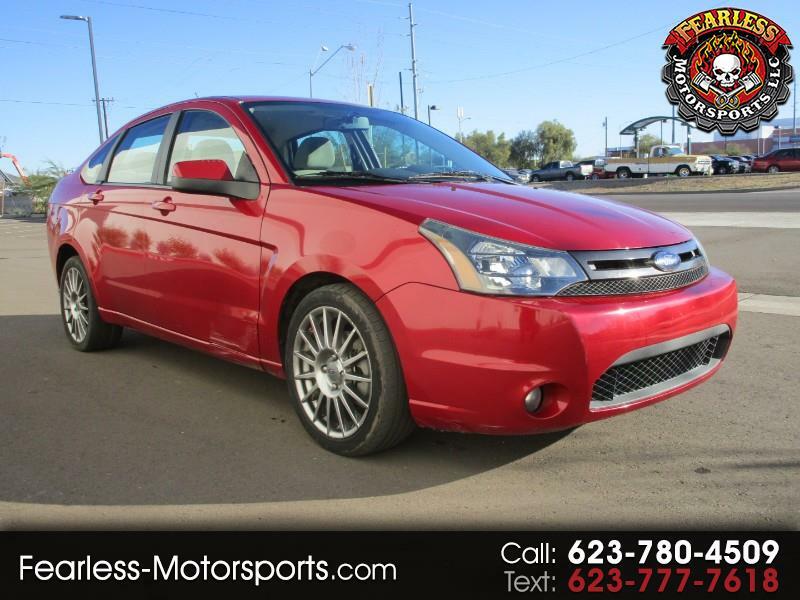 2010 Ford Focus SES, this is a beautiful car , only 112 k miles and clean !! All cars come with free oil changes for life as well as free brake pads for life!! includes a 1500 mile or 45 day warranty on engine and transmission! We also offer extended warranties that are available at a great price and can greatly extend the coverage's you prefer at your discretion, we have a great package that comes with every car purchase that includes service discounts, help with collision repair, free oil changes for life and free brake pads for life and free towing for any vehicle you own 24/7 for those siuations where you really need someone in your corner to help out. Come down anytime and check it out. Our goal is to be the guys you call no matter what you need! Need Car repair? Need a new car? Stranded in the middle of the night? Had a Accident? Need a car looked at for a second opinion with no nonsense ansers? Call Us!! We will do everything we can everytime to help you. Thanks for looking and we look forward to earning your business!! Visit Fearless Motorsports LLC online at www.fearless-motorsports.com to see more pictures of this vehicle or call us at 623-780-4509 today to schedule your test drive. Warranty Description: All cars come with free oil changes for life as well as free brake pads for life!! includes a 1500 mile or 45 day warranty on engine and transmission! We also offer extended warranties that are available at a great price and can greatly extend the coverage's you prefer at your discretion, we have a great package that comes with every car purchase that includes service discounts, help with collision repair, free oil changes for life and free brake pads for life and free towing for any vehicle you own 24/7 for those siuations where you really need someone in your corner to help out. Come down anytime and check it out. Our goal is to be the guys you call no matter what you need! Need Car repair? Need a new car? Stranded in the middle of the night? Had a Accident? Need a car looked at for a second opinion with no nonsense ansers? Call Us!! We will do everything we can everytime to help you. Thanks for looking and we look forward to earning your business!! Dealer is not responsible for any data omissions and/or errors. All prices on website are cash prices. Contact dealer for details. Message: Thought you might be interested in this 2010 Ford Focus.